ResInfra@DR partners and key experts from all Danube Region countries contributed to the first two Dialogue Workshops held in Budapest and Sofia. These events are part of a series of in total five dialogue meetings organized by the ResInfra@DR project to provide fora for a dialogue of policy makers and RI managers or practitioners. The Hungarian Academy of Sciences, Centre for Economic and Regional Studies leads the dialogue activities which will provide essential input to the planned guidelines directed to policy stakeholders and infrastructure operators. The two current Dialogue Workshops were devoted to the EU level coordination of research infrastructure (Budapest); the national roadmaps as well as their macro regional dimensions (Sofia). The main focus was given to the role of RI investments and the utilisation aspects of RI. Attila Havas, IE CERS HAS, introducing the Dialogue WS series at the Sofia Dialogue Workshop. The first workshop in Budapest (31st of August) focused on the EU-level processes and analysed how the ESFRI process (and other EU initiatives) works, also the national preparatory processes to collect recommendations to compile the ESFRI Roadmap and shared lessons on the use of RIs on the ESFRI Roadmap by the partner countries were discussed. Findings from the workshop contribute to the set up of guidance documents for (a) the ex-ante procedures before investing; (b) the necessary monitoring framework; (c) the potential identification of socio-economic impacts for established RIs. 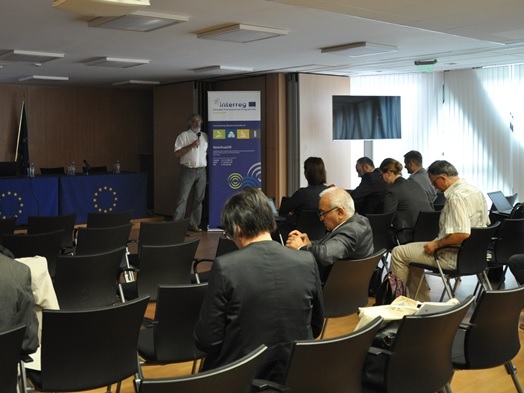 A second workshop followed in Sofia two weeks later (12th of September) where partners and experts exchanged experience and views on devising and implementing national RI Roadmaps in the Danube macro-region. Further elements for the guidelines were identified, the necessity to streamline intelligence about the national capacities was further emphasised, covering also the potential of networked infrastructure and the interaction with regional stakeholders. The core findings include the necessity to gain knowledge on how to perform ex-ante assessment procedures and the transparency of taken decisions; evidence sources and potential pathways to streamline RI investments over time etc. The next dialogue will focus on the interaction with the business users of research infrastructures and will be held in Vienna on 21 November 2017, hosted by the University of Natural Resources and Life Sciences, Institute of Water Management, Hydrology and Hydraulic Engineering.